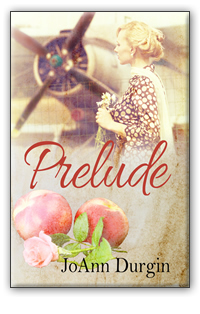 The exciting prequel to the popular, beloved contemporary Christian romance Lewis Legacy Series, Prelude is the love story of Samuel J. Lewis and Sarah Jordan, parents to Sam Lewis, the core character of The Lewis Legacy Series. Prelude will give insights into Sam’s family history in this involving, heartfelt story of family, friendship, love and never letting go of our dreams. A story of how faith, sacrifice and trusting our lives to the Lord’s guidance will always triumph over our human fears, temptations and frailties. On April 24, 1962, U.S. Air Force Captain Samuel Lewis returns home to small Rockbridge, Texas, a decorated Vietnam War veteran. Six years older than Sarah, Sam is the boy who moved four doors down when she was ten. A teenager who called her Tomboy and teased her like an older brother. That boy is now a fully grown, incredibly handsome man who makes her heart race, but what does she know of love or life? In another year, she’ll be able to save the five thousand dollars she needs to attend nursing school in Houston. Besides, everyone in Rockbridge expects Sam to marry her older sister, Tess, the prettiest girl in town with the beauty queen titles to prove it. Sam finds Sarah Jordan occupying his favorite spot at Thornton’s Creek not long after his return stateside. After his years away attending the Air Force Academy and then serving in the Vietnam War, Sam finds himself unexpectedly drawn to Sarah in a completely different way. The sassy, funny girl he used to tease has grown into a lovely, charming woman with wit and intelligence who challenges him more than any other woman he’s ever met. Sarah’s frequent reminders how she can’t wait to leave town unsettle him along with her encouragement to date every other girl in town. During the eventful summer of 1962, their friendship grows deeper and blossoms into love. Sam understands he can’t hold Sarah back from achieving her dreams and he’s stepped into place alongside his father as the vice president of Rockbridge Savings & Loan. When an unexpected financial gift gives Sarah the needed funds to enter nursing school in the fall, Sam’s heart is torn as he faces saying good-bye to her earlier than expected. Are Sam and Sarah destined to be together? All seems hopeless when she tells him it’s her dream to work as a nurse on mission fields across the world. Can these two find a place where their heart’s desire can meet or does the Lord have a much better plan that only He can design? Therefore I am content with weaknesses, with insults, with distresses, with persecutions, with difficulties, for Christ’s sake; for when I am weak, then I am strong.